Investing in a Dwight-Englewood School education is a major commitment on the part of the family and should be given thoughtful consideration. The School works with families, both new and enrolled, to help manage the cost of a Dwight-Englewood education through a number of financial assistance programs. Dwight-Englewood School offers need-based grants in addition to a monthly payment plan. For more detailed information, please direct your questions to your Admissions Director or Pat Boig, Director of Advancement, at (201) 227-3108. Currently enrolled D-E families must apply for financial aid by December 14, 2018. New applicant families must apply for financial aid by January 15, 2019. Apply online at www.sssbynais.org by completing the Parent Financial Statement (PFS). Learn more about D-E Financial Aid. Need-based Awards: The Financial Aid Program provides support to families that demonstrate a financial need. Financial need is defined as the difference between a family’s financial resources and the school’s tuition fee. The program’s goal is to assist qualified students whose families could not otherwise afford an independent school education. The program assists families in grades Kindergarten through 12 with preference given to those students in the Middle and Upper Schools. Families with children applying to Lower School should not expect to receive any more than half the cost of tuition in need-based financial aid. Our financial aid program is need-based with a family’s eligibility based upon an assessment of the family’s income and expenses. Determination of need: the amount that a family is expected to contribute is determined by the financial need of that family. 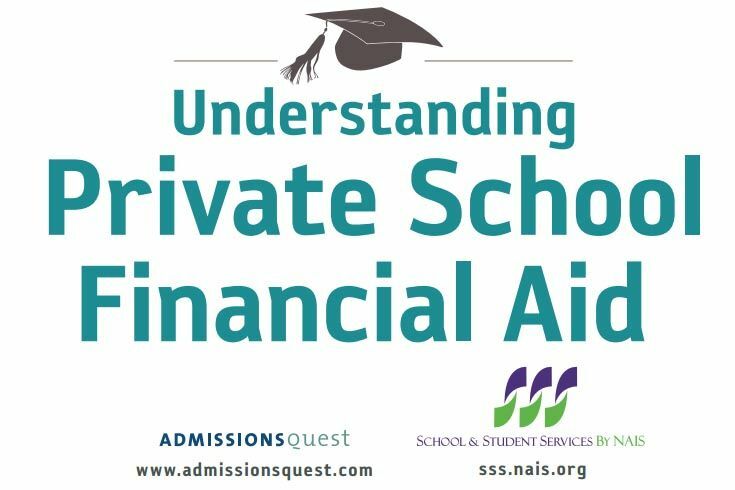 SSS provides independent schools with sound information to help make financial aid awards fairly and equitably on the basis of need. Families must submit a Parents’ Financial Statement (PFS) each year and awards are made according to policies set by the School’s Financial Aid Committee, with whom final decisions rest. Factors influencing awards: Dwight-Englewood School commits significant funds to support a large number of students needing financial aid. However, each year the number of applicants accepted for admission and qualifying for financial aid far outnumber those whom we are able to support. The school offers no awards based strictly on academic, artistic, or athletic ability, but decisions are influenced by each student’s ability to contribute in some positive way to the Dwight-Englewood community. Renewal of awards: Financial aid awards are reevaluated and renewed each year for all ongoing students as long as they remain in good standing in all aspects of school life and as long as their families continue to demonstrate need. A student who is placed on academic or disciplinary probation may become ineligible for financial aid. Divorced or separated families: In considering applications for financial aid, the matter of divorce or separation is a difficult one. The Committee must consider the assets and earnings potential of both natural parents, if living, before making any award, and cannot be bound by the assertion that one parent has disclaimed responsibility for educational expenses. Both parents are required to file the PFS with SSS. If either parent has remarried, assets and earnings potential of the stepparent will be considered, always bearing in mind the obligation of that stepparent to his or her own natural children. Payment Plans: In addition to need-based financial aid, Dwight-Englewood also provides a Ten-Month Payment Plan which gives parents the option to make monthly payments with no interest charges. For families receiving financial aid, the payment plan begins in July of the summer prior to enrollment. Deadlines and requirements: No consideration for financial aid will be made unless the student has been accepted to the School. Qualified families whose applications for financial aid are submitted correctly and on time are given priority in the distribution of funds. Returning families submitting applications for aid after our deadline of December 14, 2018 are evaluated on a funds available basis as are new applicant families who submit aid applications after January 15, 2019. In addition, financial aid is offered only to U.S. Citizens or permanent residents of the U.S. For more detailed information, please talk with your Admissions Director. 1) Complete the application. Make sure you have all the records you need, including your 2017 tax information before entering the SSS application online. Each family must submit a Parents’ Financial Statement (PFS) to SSS by January 15, 2019 for full consideration of a need-based award. 2) Submit copies of your signed 2017 W-2s, 2012 1040, and all accompanying schedules to SSS by January 15, 2019. No tax information should be sent to Dwight-Englewood School. The information you provide will be held in confidence. Statements and other paper documents sent to SSS will be destroyed after one year. 3) Note that all applications received after January 15, 2019 will be considered on a rolling basis. Financial aid awards are limited and may not be available for all qualified applicants. If you are submitting a financial aid application after January 15, 2019, call your Admissions officer to verify the availability of funding.